New year, new rules. 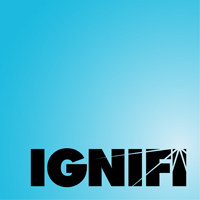 Talk to IGNIFI about how game changing marketing, digital, creative and design can give you the winning edge in 2019. Artificial intelligence is already out-diagnosing experts, but would you put a computer in charge of your healthcare? The good, the bad; we take a look. Communicating with HCPs 101: we put ourselves in HCPs’ shoes to understand exactly what they want from pharma communications. It’s common. It’s debilitating. We’re talking about IBS. In this issue of MAGNIFI, we explore the insights of patients suffering with IBS, while also looking into research around the HCP–patient relationship. Join us as we try to uncover whether these insights can be leveraged to improve patients’ healthcare experience. What place do wearables have in affecting actual patient health outcomes and can they contribute to the NHS’s sustainability agenda? Or are they just the latest fad? IF you could rely on high-quality creative advertising and marketing services, delivered on-time, on-budget and hassle-free, would that make a difference to your performance? IGNIFI can help.